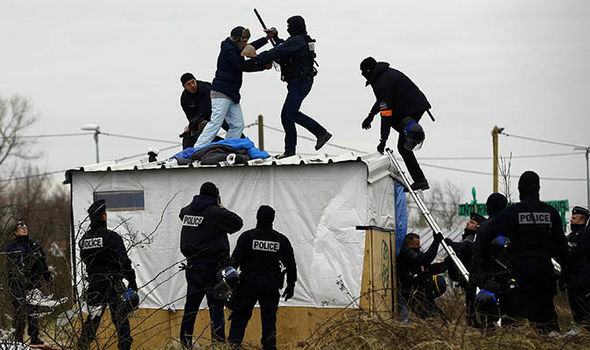 One Ethiopian was killed and six other injured in clashes between migrants from different countries in the large camp who grew up on the outskirts of the French canal town of Calais, said local authorities. There were migrants from Sudan, Eritrea and Ethiopia as peeled together with migrants from Afghanistan. The incident occurred Monday night. Several of the migrants used knives and sticks, and police intervened several times. The fighting took place on the outskirts of the large camp called The Jungle, which houses several thousand migrants.All hope to cross into Britain in some way. An Ethiopian man died and six migrants were wounded overnight after several clashes erupted at the Calais “jungle” camp in northern France, local online magazine La Voix Du Nord reported Tuesday. MOSCOW (Sputnik) — The 37-year-old “likely died from a knife wound to the chest,” the Pas-de-Calais prefecture said, as quoted by the media outlet. Clashes flared late Monday and continued into early morning between Sudanese migrants and Eritreans on one side and Afghans on the other. Four people were stabbed, one of them severely. A second brawl started around 4 a.m. local time, leading to two people sustaining injuries. A total of 200 people are said to have been involved in the fights. The Calais refugee camp is currently home to thousands of mostly African immigrants, who have been stranded in northern France in hope of crossing into the United Kingdom.